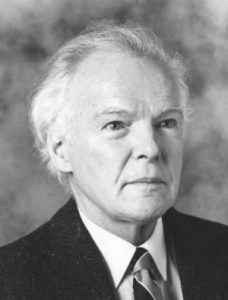 Mort was the well-known and widely respected catalyst who convinced three pre-eminent Canadian mining organizations to fund the CMHF. The high standard of living enjoyed by Canadians today stems in large part from the development of the natural resources that endow the Canadian landscape. In Canada, we are blessed with an abundance of natural resources and are fortunate to be the home of many people with the skill, drive and dedication to convert these resources into the products we need for everyday life. Hundreds of thousands of people have contributed to building Canada’s mining industry into the global leader it is today. The Canadian Mining Hall of Fame was established in 1989 to celebrate the individual leaders among us. Since that time, more than 170 industry leaders have been inducted who demonstrate excellence. These individuals are explorers, company builders and community builders. They are geologists, engineers and philanthropists. Above all, they are proud champions of Canadian mining. The Canadian Mining Hall of Fame was founded by The Northern Miner, The Mining Association of Canada, The Prospectors and Developers Association of Canada, and the Canadian Institute of Mining, Metallurgy and Petroleum. The story of mining in Canada can be told, in part, through stories of industry leaders and their accomplishments. The CMHF has become an enduring source of information that shares the significant contributions of individuals who shaped Canada’s global mining industry.